2-Needle, Unison Feed, Walking Foot, Large Hook, Large Bobbin, Alternating Presser Foot, Fully Automatic Lubrication System, Safety Clutch Device. 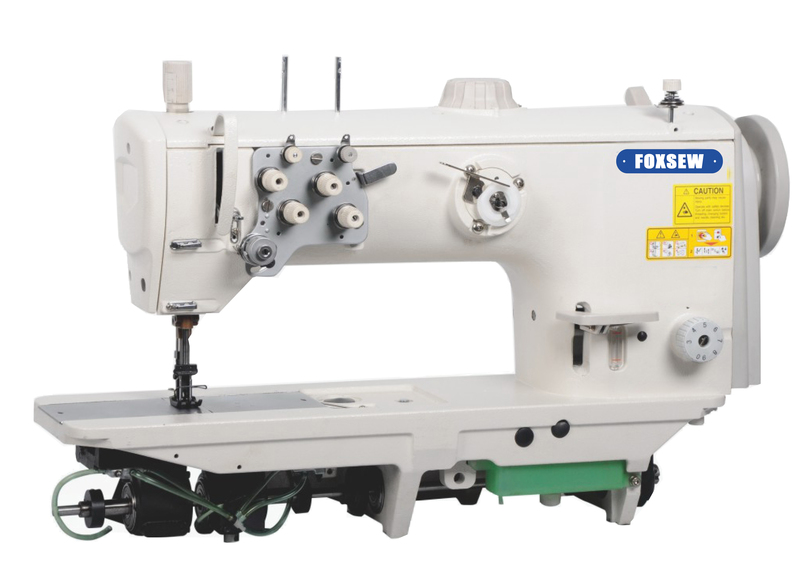 FOXSEW FX-2860 2-Needle Unison Feed Walking Foot Heavy Duty Lockstitch Upholstery Sewing Machine. Looking for ideal Heavy Duty Lockstitch Machine Manufacturer & supplier ? We have a wide selection at great prices to help you get creative. All the Double Needle Compound Feed Machine are quality guaranteed. We are China Origin Factory of Car Upholstery. If you have any question, please feel free to contact us.